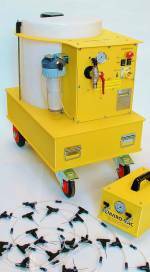 Enviro-Vac has introduced a wet injection system to the market, featuring adjustment-free needles. Compliant with BS 8520-1 & PAS 60-1 the new system has superceded the conventional arrangement of manual flow adjustment at each needle - replacing it with a self-regulating "needle-module". Inside each needle-module is a unique pressure control valve which can deliver a consistent, balanced output to each needle ensuring that the requirements of BS 8520-1 & PAS 60-1 are met. ►is a robust, durable, all plastic construction. ►features a powerful pump capable of reliably delivering fluid even when the injection needles are elevated many meters above the pump unit. 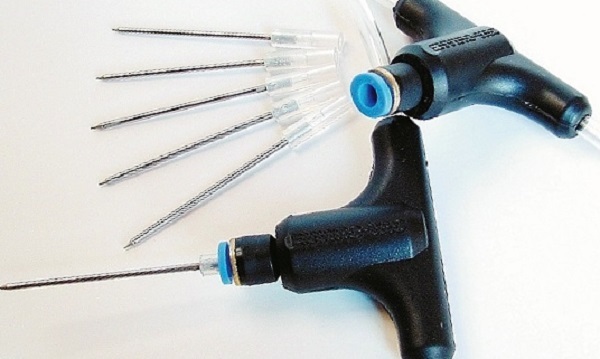 ►allows needles to be used in any combination up to a maximum of 100 without compromising the flowrate at each needle. ►has a 100+ litre capacity transluscent tank with capacity graduations. ►incorporates multi-stage liquid-filtration to prevent surfactant-borne debris blocking the needles. ►features factory-set automatic pressure regulating valves requiring no adjustment, so minimising the opportunity for operator error. ►has a "Dwell-Time" feature allowing a repeating cycle of 5 minutes injection followed by 5 minutes waiting - to allow the fluid to be absorbed. This can be over-ridden for constant injection or spray application. 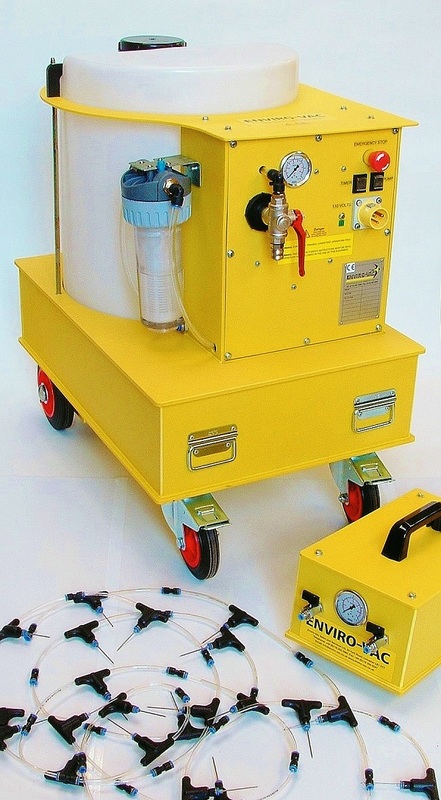 For work at different levels, the pump system can be left on the ground floor and a light-weight pressure control box taken to the higher levels - connected to the pump system by a single quick release hose. occur when needles are used at a different level from the pump unit, and ensures a consistent liquid flow of 35ml per minute (+/- 10%) is delivered to each needle. 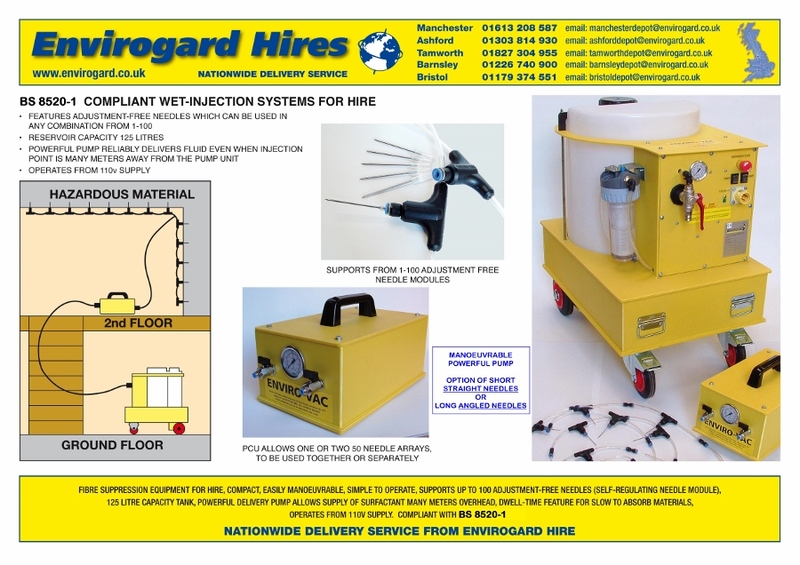 Click here for an Equipment Data Sheet on the Enviro-Vac Wet Injection System.